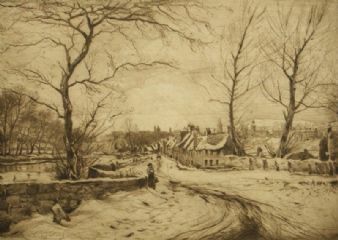 David Waterson; 1870-1954, Sottish artist, studied at the Edinburgh School of Art, he became interested in etching, constructed his own press and taught himself the mastery of the technique. When he sent some of his work to Sir Seymour Haden, then President of the Royal Society of Painters-Etchers and Engravers: Sir Seymour wrote 'Here at last is genius.' 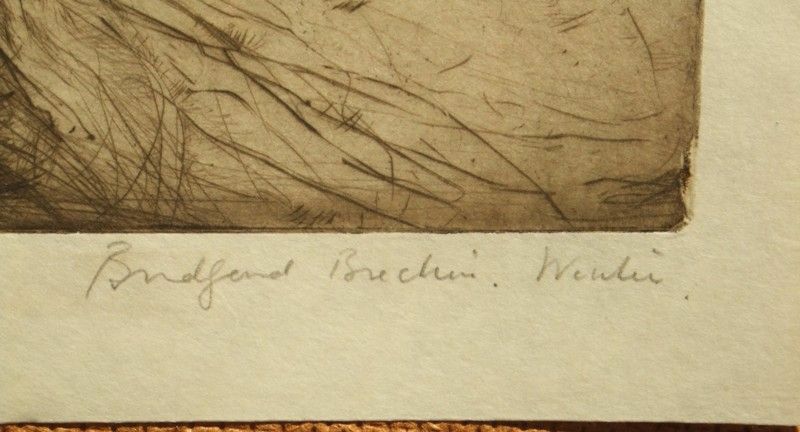 A little later the British Museum asked him for a portfolio of some seventy etchings of his works for their collection. 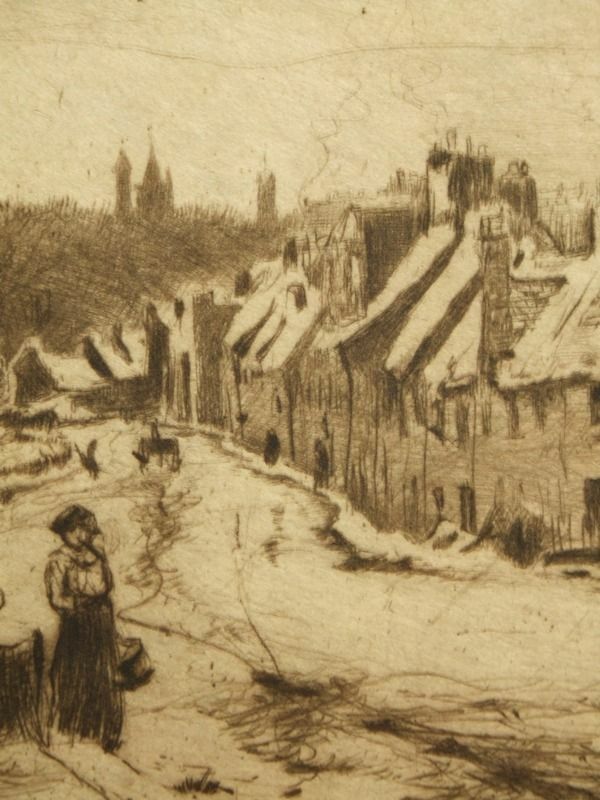 He had a steady market in Sweden where he worked for a year with the keen interest and friendship of King Gustav. 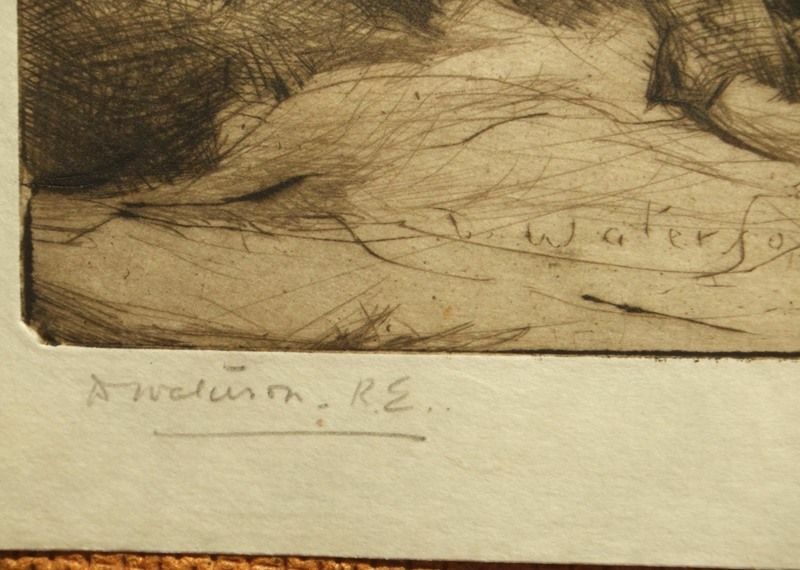 Signed in the image and signed and titled in pencil by the artist in the ower margin. 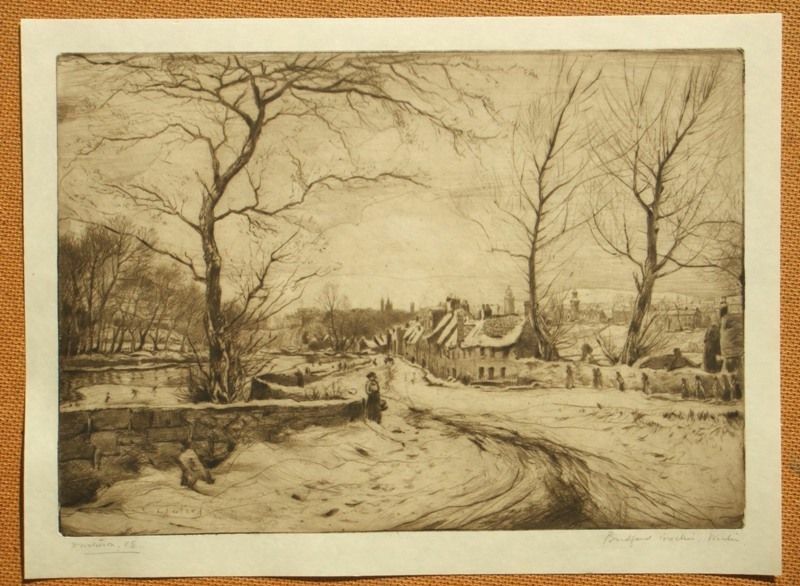 Unframed and unmounted, the condition of the image and sheet is very good with handling marks condusive with age.